FINLAND: Finnish generator manufacturer The Switch has entered into a strategic partnership with Japanese industrial automation firm Yaskawa Electric Corporation with the aim of developing high-power generators and converters. The companies intend to share technological expertise, expand product ranges and to get a foothold in each other's core Japanese and European markets. The Switch said the collaboration would facilitate work on larger capacity turbines. Japan currently has a wind capacity of 2.6GW. Since the Fukushima distaster it has invested significant resources into building up its wind energy resources. This includes 7MW turbines being developed by Samsung and MHI. 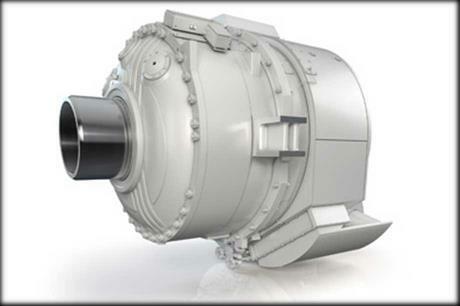 The Switch's latest product is the FusionDrive drive train developed in conjunction with gearbox manufacturer Moventas. A prototype will be fitted in a new 3MW DeWind turbine, while an upscaled 7MW version is in the pipeline. Speaking about the deal, The Switch CEO Jukka-Pekka Mäkinen: "With strong expertise in medium-voltage technology, Yaskawa is an ideal partner for The Switch to complement our present product offering. "This cooperation will provide us with a solid foundation to serve our old and new customers in wind power and other applications, and we look forward to expanding our presence in Japan." Yaskawa works in the fields of motion control, robotics automation, and systems engineering.